On our first afternoon in The Lakes we had a couple of hours to kill before we could pick up our keys for the cottage. 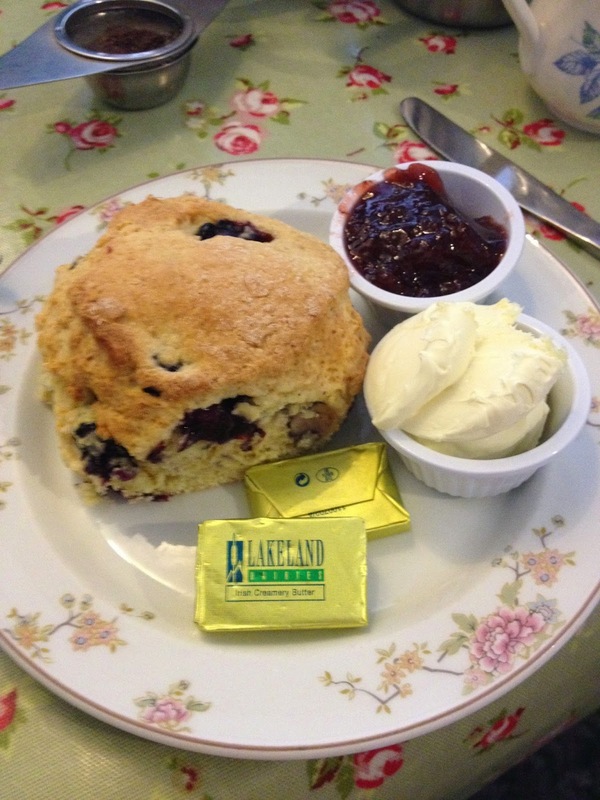 So we wandered around Hawkshead in search for lunch, what we came across was cafes and pubs. A pub, we thought, would be too much of a heavy lunch so we set about looking in the cafes. Hawkshead is pretty small and it wasn't long until we had walked around all the cafes and still hadn't chosen one. Fed up we chose the nearest to where we needed to pick up our keys from. We walked in to what was essentially someone's house with the front two rooms converted in to a tea room. Unsure whether we could just sit, whether we needed to be seated or anything else we approached the counter and asked the lady busying herself behind it who said we could sit where ever we wanted and she would be over shortly to take our orders. The tearoom was filled with American's who were being over dramatic about lemon drizzle cake, in addition to this there was a great amount of teapots in all shapes and sizes. 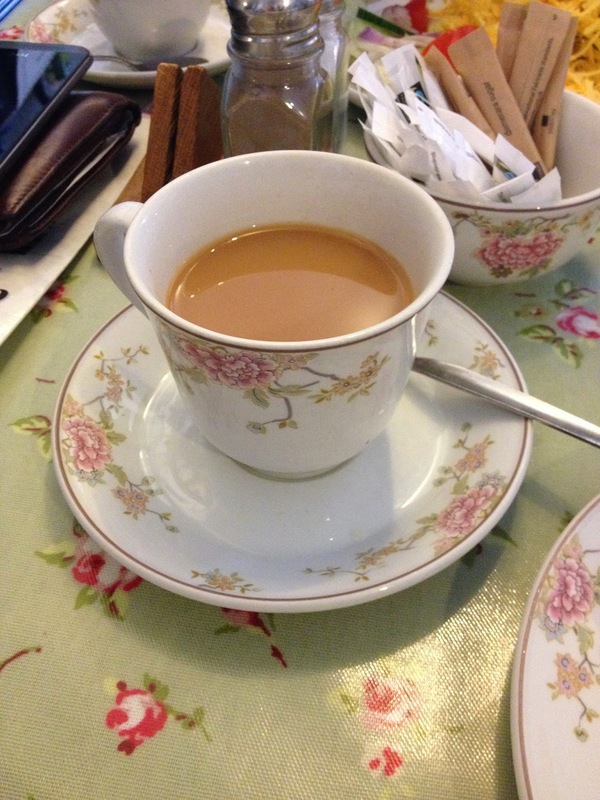 I ordered a cup of tea and was immediately disappointed that it wasn't Yorkshire Tea. 'We're not in Kansas (Yorkshire) any more Toto (D)'. Scanning over the menu it was pretty much the same as all the rest of the cafes in Hawkshead. They served sandwiches, jacket potatoes, teacakes, scones and cake. I had already had a toasted teacake for breakfast that morning so decided to have a scone not feeling the sandwiches on offer and refusing to pay a fiver for a potato plus extra for toppings. On offer were normal fruit scones or blueberry so I opted for something a little bit different and had the blueberry. It was really nice, fluffy on the inside and rough on the outside, just how scones should be. 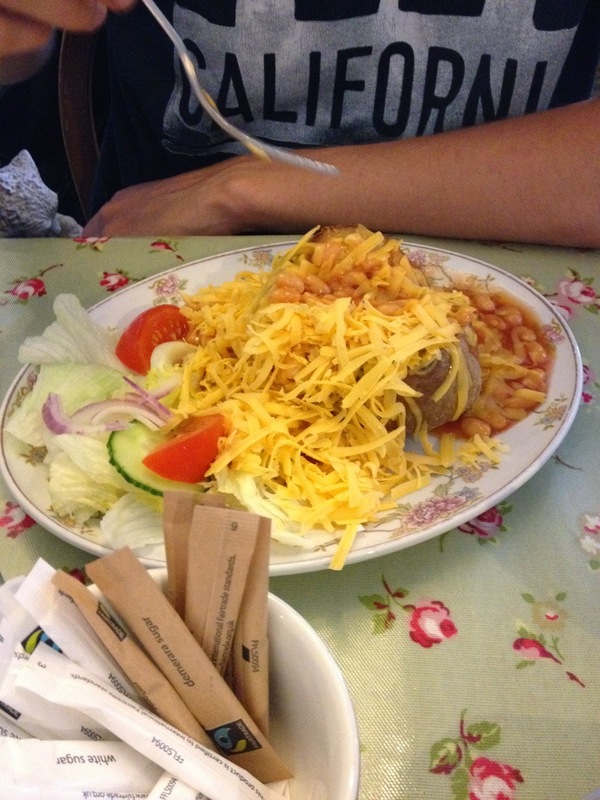 D chose a jacket potato cheese and beans. He didn't look impressed when it turned up either. He ate it all as he was hungry. I think we both felt that we could have done better for lunch, maybe Hawkshead could do better. Who knows. It was a 2.5 hour drive and we were tired.